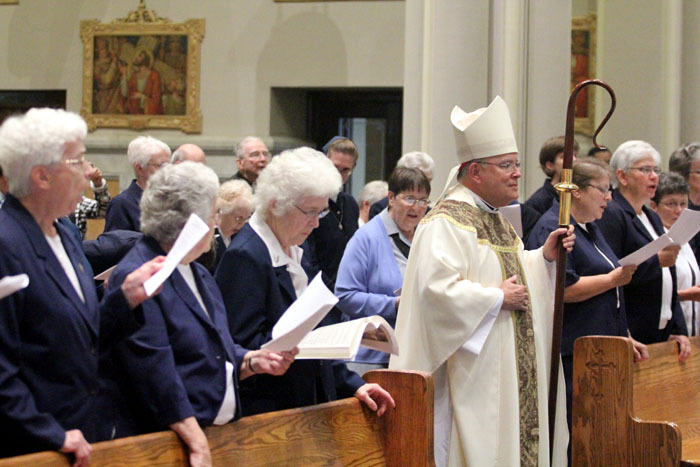 Archbishop Charles Chaput, celebrant for the anniversary Mass, greets the sisters afterward. 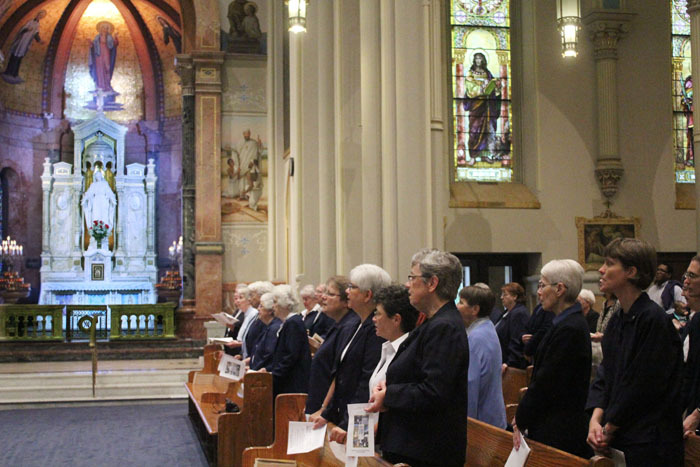 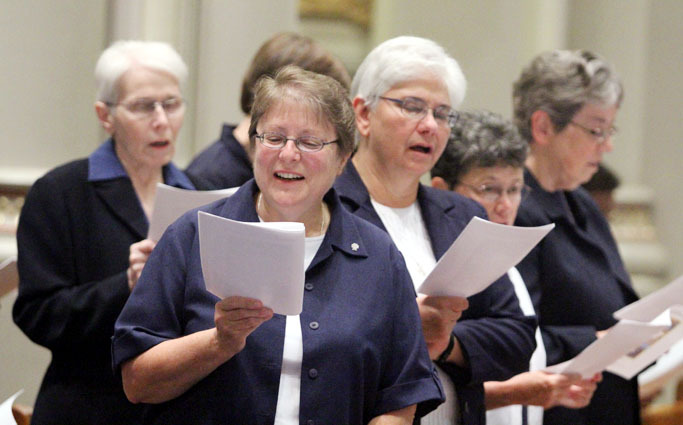 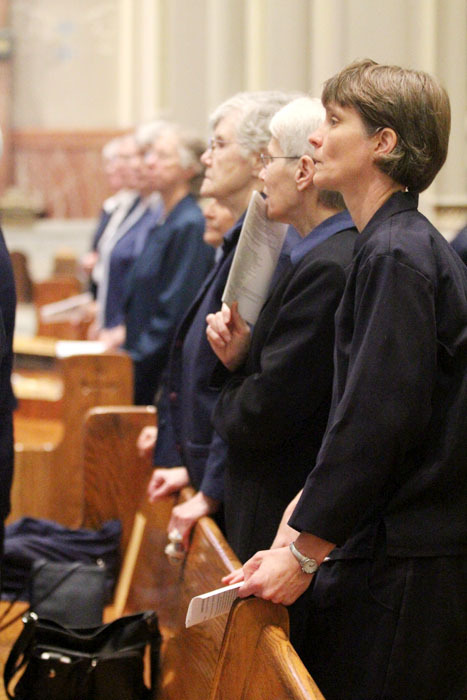 Sister Mary Francis Martin, the sister servant of the congregation’s motherhouse, sings along with other members of her order and guests at the shrine. 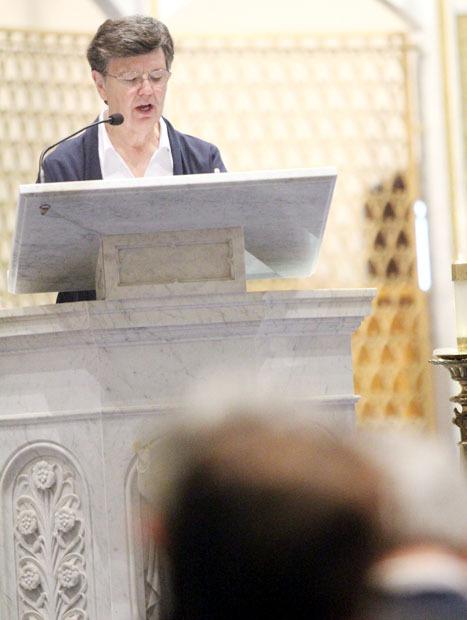 Sister Margaret Walker proclaims a Scripture reading during the liturgy. 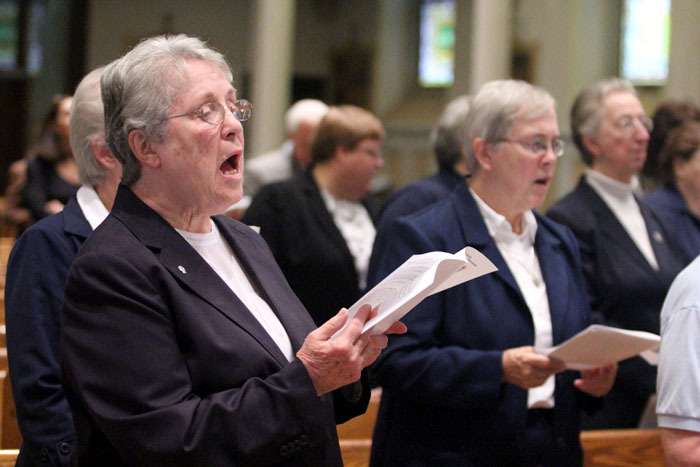 Sister Sharon Horace, right, is director of the St. Vincent de Paul Youth Center in Germantown. 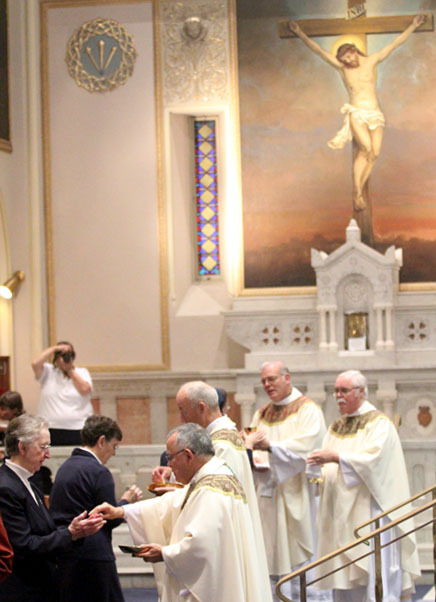 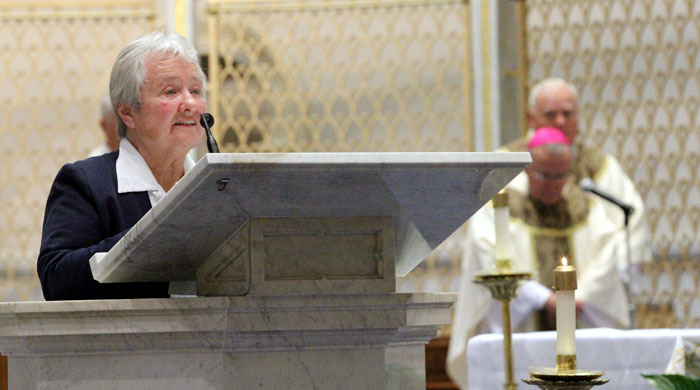 Sister Jean Maher, reading at Mass, ministers at St. Athanasius Parish in Philadelphia’s West Oak Lane section. 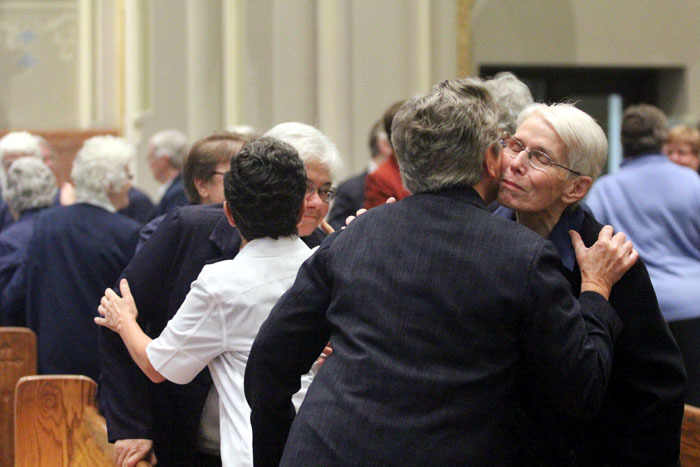 Sisters exchange a sign of peace at Mass. 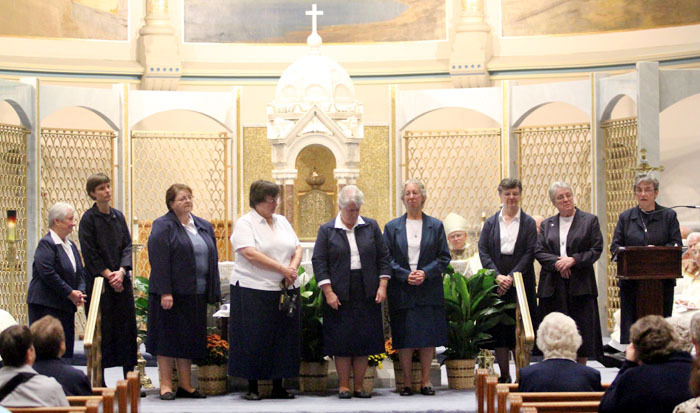 Daughters of Charity who serve locally are called forward to take a plant back to the place of their assignment to share in the anniversary. 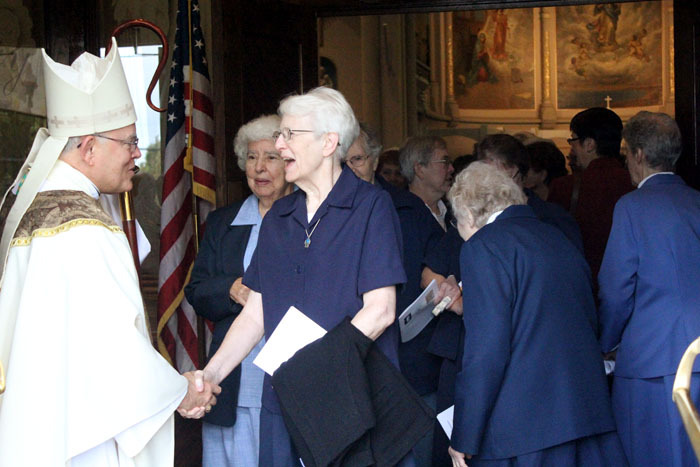 Archbishop Charles Chaput, who was the main celebrant for the anniversary Mass, greets the sisters afterward. 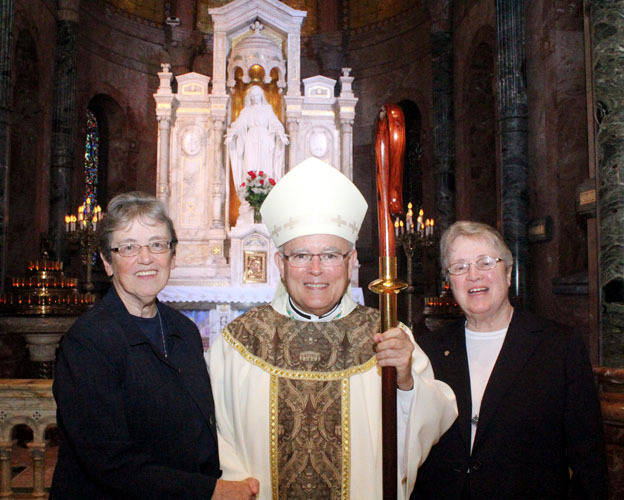 Sister Louise Galahue (left), the visitrix for the Daughters of Charity’s Province of St. Louis, poses after the anniversary Mass with Archbishop Chaput and Sister Mary Francis Martin, the sister servant of the motherhouse.